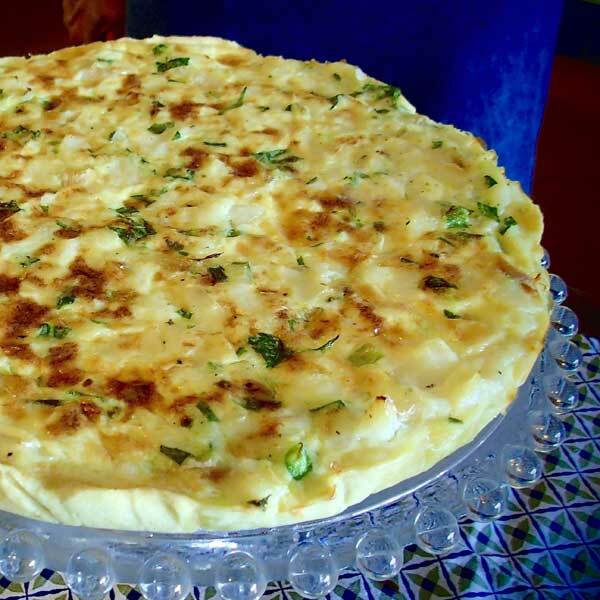 Have you ever thought about having a dried salted codfish quiche ? 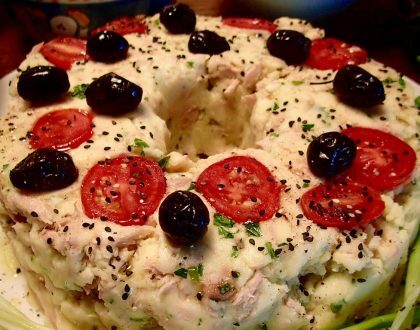 Well, I love salted codfish so much that I made this recipe. 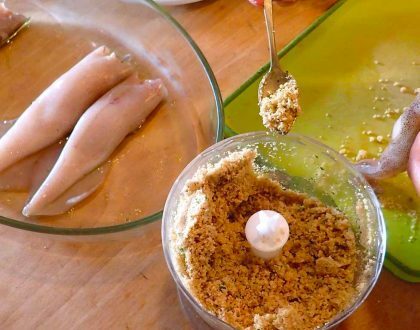 It is easy and fast once you buy the fish rinsed and soaked; to take all the salt out, you need at least 24 – 36 hours, depends on the saltiness of the fish. I always buy the fish ready to cook and this helps to save a lot of time ! This dough is so easy that it literally takes 5 minutes ! Mix all ingredients in food processor until it forms a ball. Refrigerate. If you don’t want to make homemade dough, buy one a prepared baking dough . Prepare the filling : Cook the baccalà in a pot covered with cold water and turn on medium heat. Cook for 10 minutes. when cooked remove skin and fishbones. Then shred the baccalà with a fork. 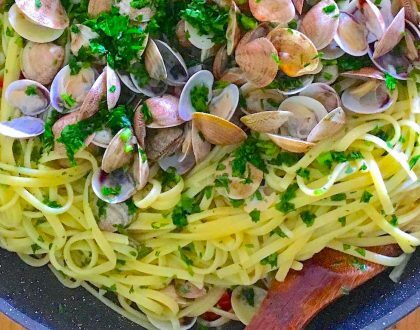 In a bowl beat the eggs with cream, chopped onions, parmigiano cheese, parsley, salt, pepper and extra virgin olive oil. Whisk until you get a creamy mixture. Roll out dough to roughly ½cm thick on a parchment paper. Place the dough with the parchment paper in a 23cm baking pan. Press the pastry into the pan, and then pour the baccala mixture. Bake the quiche in the oven for 35 to 40 minutes at 180°C / 360F°.